TenRen's Winter Tea is a special selection of Green Oolong that is delivered fresh from this year's winter harvest and has been judged worthy by Ten Ren's tea experts to be this year's Winter Tea. Winter is one of best seasons for high quality Oolong tea. We feature this type of tea once a year and in limited quantities. The steeped tea has a bright yellow hue, a faintly fresh and floral aroma, a pleasant fresh and floral flavor with sweet undertones, and a faintly sweet aftertaste. Each year the tea comes in a beautifully designed canister. 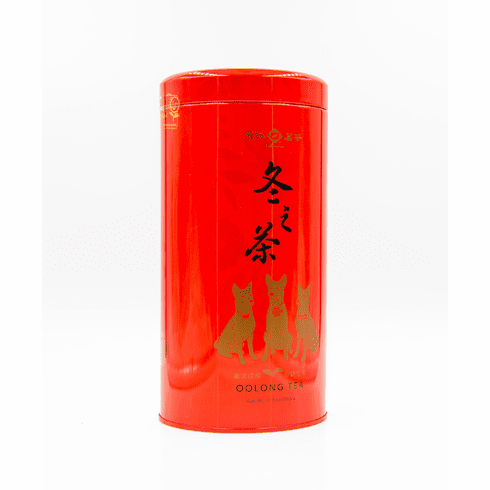 This canister contains 11.9 ounces (337.5g)of the freshest winter Green Oolong. Shipping weight is 1.25 lbs.